Not a bad evening’s sketching considering I forgot my glasses and we were drawing in a dimly lit pub! Chelmsford’s Drink and Draw group meets monthly in a local pub, organised by Lynn Ex, all welcome. I’m delighted to share my illustration “The Pearlies” which has been accepted for the Poster Prize for Illustration exhibition at the London Transport Museum from this coming February. Organised by the Association of Illustrators, illustrators were invited to create an image for a London Underground poster based on the theme of London Stories. Wishing everyone a very Merry Christmas 2018! It's great to be part of this fabulous young enterprise showing my illustration work at the Chelmsford Window Gallery during December. 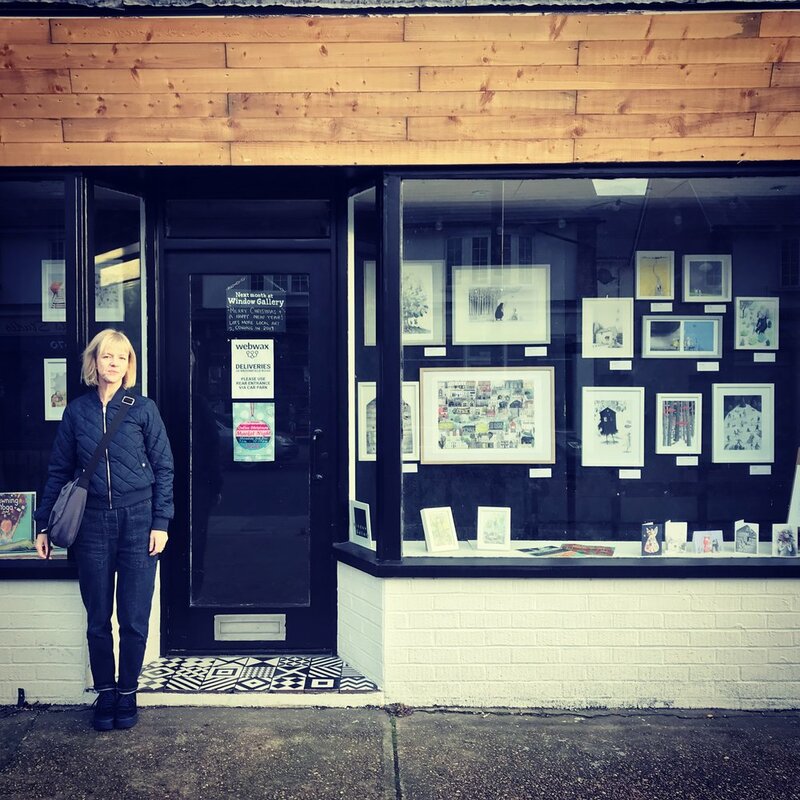 Based just along from The Ship pub on Broomfield Road, Chelmsford, the amazing creative mind of Candy Joyce has started something lovely, showing local creatives' work. Go and have a look - 'open' 24/7! 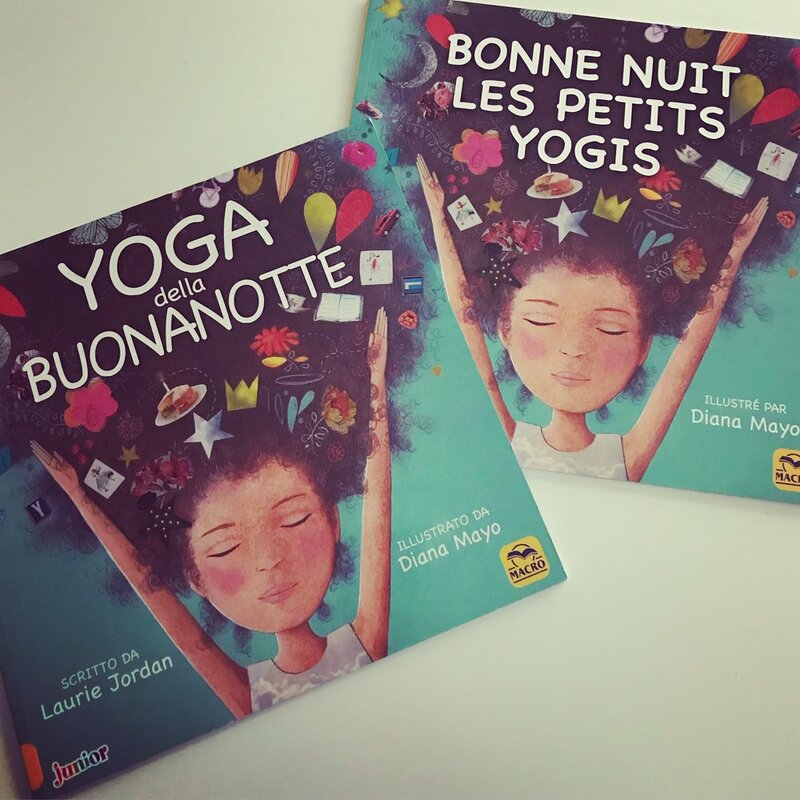 Pleased to share these French and Italian and Editions of Yawning Yoga written by Laurie Jordan and which I illustrated. Published by Macro Editions. Originally published by Little Pickle Press, Source Books Inc. It's starting to feel like Winter here in the UK, so I'm excited to share a new cold and icy image with you! 'Iceskaters' is also available as a new, signed limited edition, Giclee print. Thanks for inviting me bookroo.com to share my work as an illustrator on your fabulous children’s book website. I’m looking forward to sharing new books on there soon. Pop over to their website here to have a look! I made a pretty poster for an event that was sadly postponed till further notice, but the process was fun so I thought I’d share! 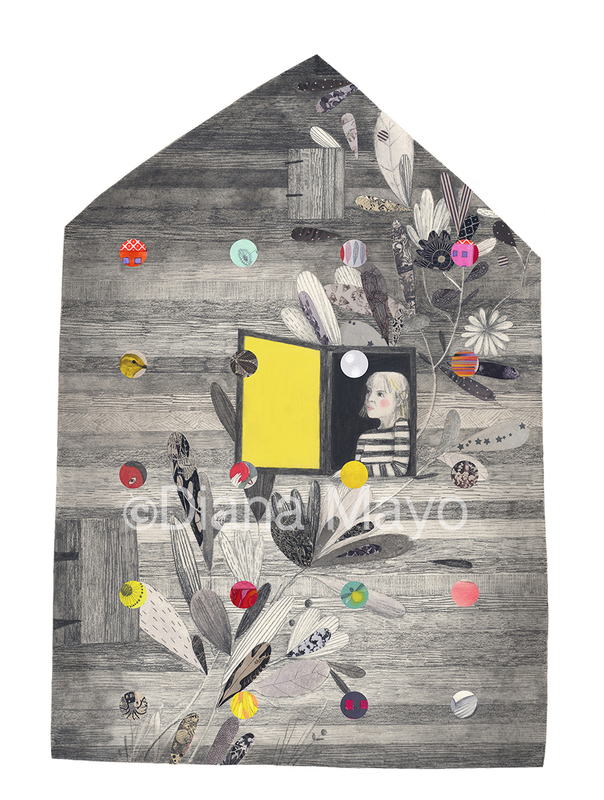 I have now added a link to a mini print shop in the menu of my website above. 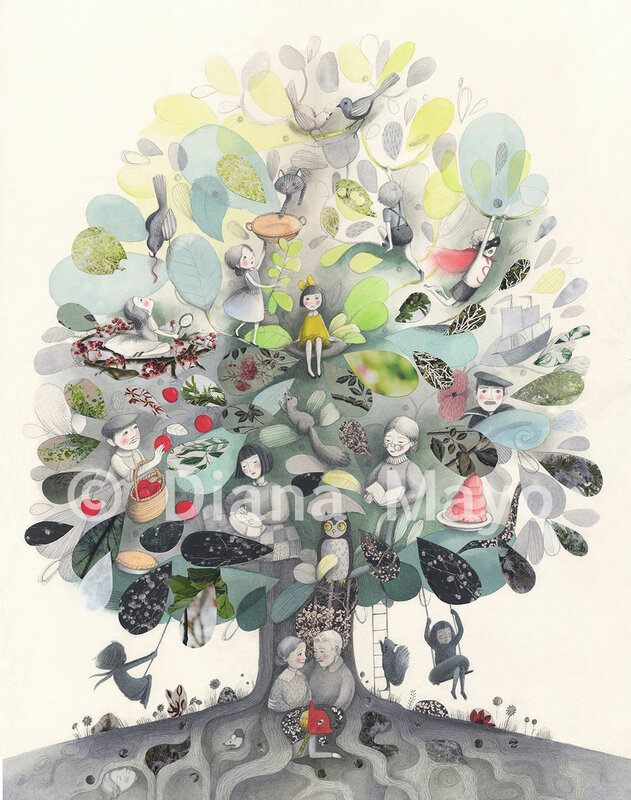 You can now order certain high-quality Giclee prints directly via the shop, such as my new “Chelmsford” map image and “The Tree of Family Life” picture. Fabulous weather for selling and delivering prints this week! I'm very excited to share my new updated Chelmsford map, which includes lots of the city's exciting new venues worth visiting, as well as some old favourites of mine! Please use my shop in the menu or contact me directly to order. I hope you like it! Starting with a detailed pencilled drawing (following LOTS of pencil sketch planning! ), I then stretch hot-pressed Arches water-colour paper and start painting. Many hours of detailed painting, drawing and collaging are then digitally ‘tidied - up’ before the final image is ready to go to Giclee print. You can see the finished image in my next post. 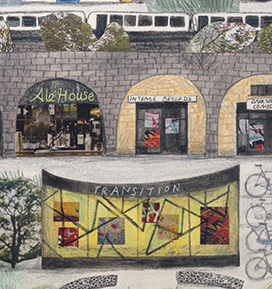 To celebrate the Just Imagine Illustrators' Group finding a fabulous new venue to convene, this month's brief was to illustrate the word the venues title, "The Transition". My image shows the transiotion from Winter to Spring. Phew! Just installed some pics with Matthew Brazier and natalie eldred at The Transition, Chelmsford as part of this week's Chelmsford Arts Fest. 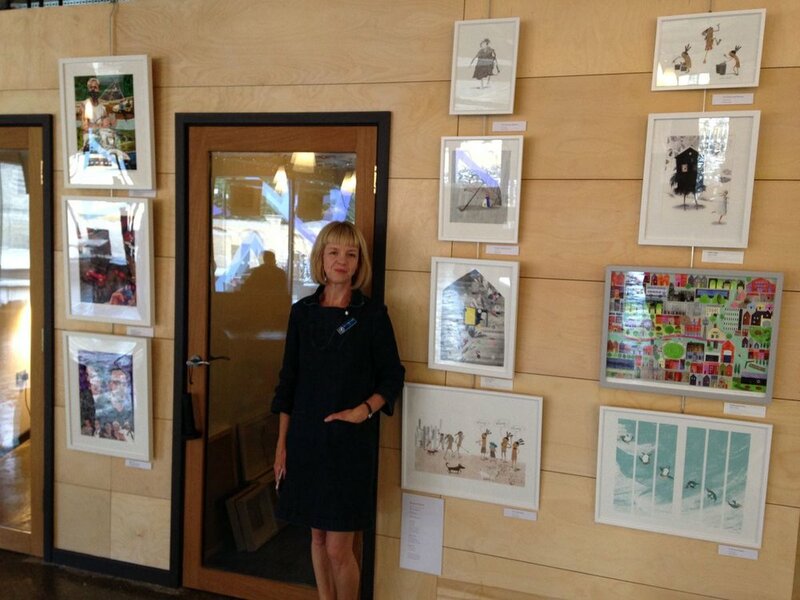 Also have some illos at The Rivermead Gallery at Anglia Ruskin, Chelmsford. Work up from 23rd June - late July. Go and see! A little detail of a thing for a thing...I'd love to share some things I'm working on, but will have to wait for now! This free exhibition features a variety of work and includes both original artwork and high-quality Giclee prints. 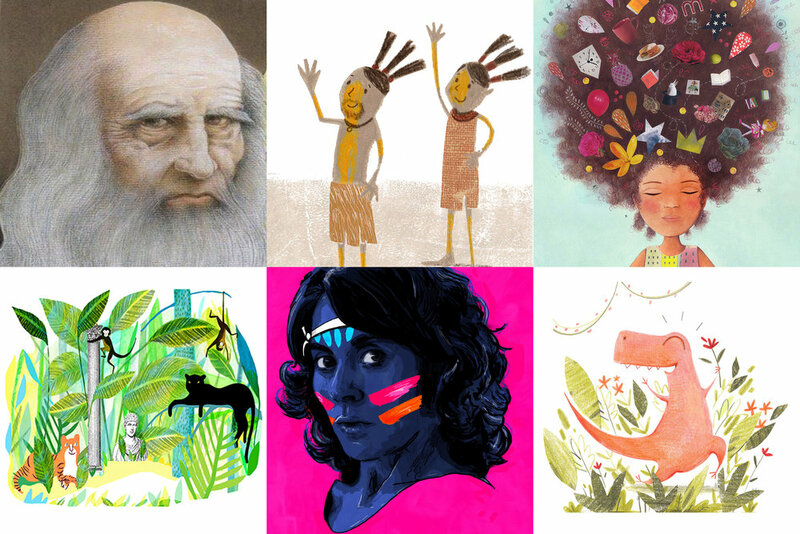 The Just Imagine Illustrators Group are a group of freelance illustrators who meet regularly in Chelmsford to share and discuss their work and ideas, including both published and self-initiated projects. They have been gathering since meeting in 2010 at the Just Imagine book shop. During each meeting, the illustrators critique each other’s work, share new ideas and also set a new illustration brief to work on. They meet regularly, and new people are always welcome to come along. Please contact Diana Mayo for further information.